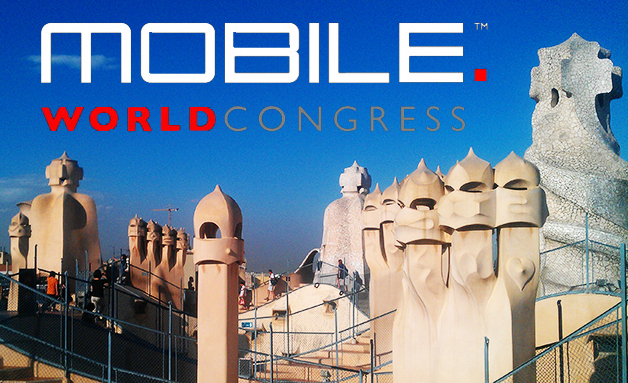 The first day of MWC 2014 was a real whirlpool of announcements and new models that enter the mobile arena. Some of the biggest announcements were made by Samsung, Nokia and Sony. The Korean manufacturer Samsung introduced at MWC its new flagship the Samsung Galaxy S5. The high-end smartphone comes with polished design, an awesome package of specs, a Finger Scanner. It is powerful, capable and truly attractive smartphone that will outrun the expectations of mobile users. Along with the flagship Samsung announced two new smartwatches that succeed the Samsung Galaxy Gear. Samsung Gear 2 and Samsung Gear Neo are the first Tizen OS-powered smartwatches that boast plenty of capabilities. Last but not least Samsung presented its own version of the modern fitness trackers – the smartband Samsung Gear Fit. It runs on Tizen OS and provides different health related features and the possibility to display notifications. The Nokia’s event was one of the most exciting at MWC 2014 in Barcelona. The company took the wraps off three Android-based entry-level smartphones – Nokia X, Nokia X+ and Nokia XL. The handsets provide basic functions and the possibility to work with third-party Android apps. No Google Play Store, but still the three devices have a lot to offer to their users. Along with the extraordinary handsets, Nokia announced the budget Nokia 220 and the cheapest Asha smartphone, the Nokia Asha 230. Sony made its fans happy with the revealing of its new flagship Sony Xperia Z2. The advanced smartphone works with Snapdragon 800 processor, features 20.7MP camera and runs on the latest Android 4.4 KitKat OS. The new model was accompanied by the rumored Sony Xperia Z2 Tablet. It is among the most advanced slated in the mobile world today. The tablet a 10.1-inch Triluminos screen, works with quad-core Snapdragon processor with 3GB RAM and boasts an 8.1MP camera on the back. Sony announced the mid-ranger Sony Xperia M2 with a decent package of specs and capabilities and LTE support. HTC unveiled two mid-rangers – the HTC Desire 816 and HTC Desire 610. ZTE announced the ZTE Grand Memo II LTE with LTE support and Android 4.4 KitKat on board. Alcatel was one of the busiest companies in the first days of MWC. The first devices that debuted at the event were the new additions to the OneTouch Idol line and the OneTouch Pop Fit wearable gadget. In addition the manufacturer took the wraps off of several new smartphones of the Pop S series (with LTE support) and the Alcatel OneTouch Pop 7S tablet. Lenovo unveiled three new smartphones from the S line, the Lenovo S860, S850 and S660. Mozilla was among the busiest companies in the first day of MWC as well. The company officially presented the new smartphones that run on Firefox OS. The ZTE Open C and ZTE Open II are among the low-end devices. Alcatel introduced the mid-rangers Alcatel OneTouch Fire C, Alcatel OneTouch Fire E and Alcatel OneTouch Fire S. Among the new devices is the first tablet working on Firefox OS the Alcatel OneTouch Fire 7 Tablet. Mozilla unveiled some of the improvements coming up in its platform, including support for LTE and NFC, Firefox Accounts and loads of customization possibilities to name a mere few. The Blackphone also was part of the first hours of the event MWC 2014 in Barcelona. The phone is delivered by Geeksphone and Silent Cirle. It provides enhanced protection of users’ data and communication. The phone is already available for pre-orders. The first day of MWC brought the new 64-bit MT6732 by MediaTek and the 64-bit models by Intel and the 64-bit Snapdragon 610 (quad-core) and Snapdragon 615 (octa-core) of Qualcomm.